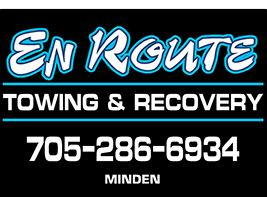 Family-owned and -operated En Route Towing & Recovery Inc. offers emergency services and damage-free local and long distance towing services in Minden, Haliburton County and surrounding areas of Ontario. When the unexpected occurs while you’re on the road, you need a reliable source for towing and roadside assistance services at a moment’s notice. 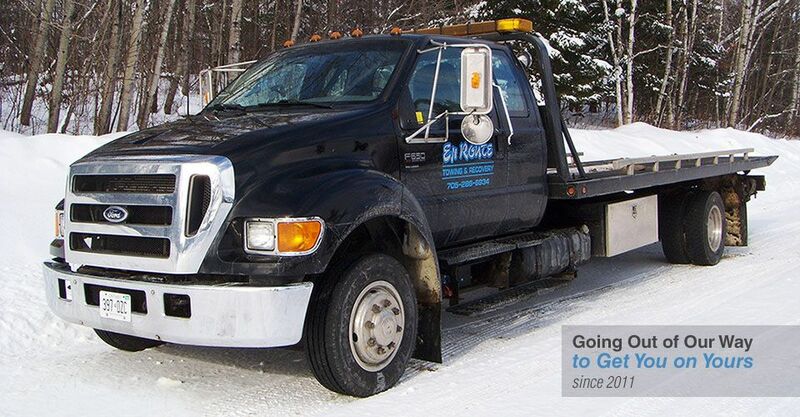 En Route Towing & Recovery is experienced with the safe transport of all types of vehicles, including cars and trucks, motorcycles, fifth wheels and RVs, as well as vehicles that require a flatbed. Our trucks are fully equipped to handle any type of normal roadside assistance, including lockouts, fuel delivery and tire changes, winching service, battery boosts and more. When you encounter unexpected trouble while traveling, En Route Towing & Recovery can help. Please call us anytime, 24/7/365 for prompt, professional service in Haliburton County.